Paramount is making a Leonardo da Vinci biopic starring Leonardo DiCaprio. 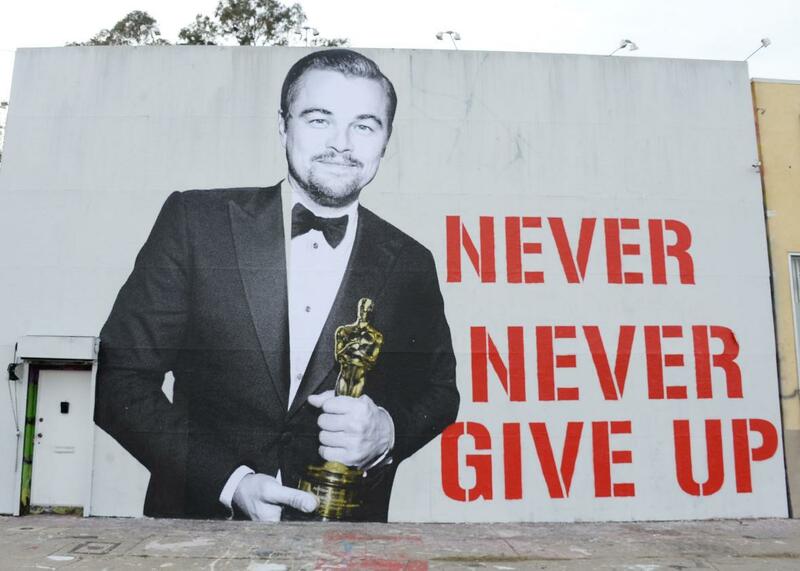 A mural in Los Angeles, March 3, 2016. Paramount Pictures won a bidding war Saturday morning to make a Leonardo da Vinci biopic starring Leonardo DiCaprio, Deadline reports. The studio beat out Universal in a seven-figure deal for the rights to ex-CNN president Walter Isaacson’s upcoming biography of the celebrated artist, scientist, and inventor, which will be published on Oct. 17. The project comes through DiCaprio’s Appian Way, which has a first-look deal at Paramount, and the actor and his president of production Jennifer Davisson will be serving as producers. Casting DiCaprio as da Vinci won’t just save time coming up with taglines for the poster: it’s also a sort of homecoming. DiCaprio got his first name because his mother was looking at da Vinci paintings at the Uffizi the first time she felt him kicking. If Walter Isaacson has any similarly charming stories about beginning his da Vinci studies in utero, he’s kept them to himself, but he does specialize in geniuses: his biography of Steve Jobs was the source material for Danny Boyle’s film, and past projects include books about Benjamin Franklin, Albert Einstein, and—for the “evil genius” subcategory—Henry Kissinger. Past actors to take on the role of the original Renaissance man include My Big Fat Greek Wedding’s Michael Constantine in an episode of My Favorite Martian and Jim Cummings, in the “Leonardo da Vinci and His Fightin’ Genius Time Commandos!” episode of The Tick. But so far, Leonardo da Vinci has never been played by a man whose name sounded quite so much like “Leonardo da Vinci.” Sounds like the Oscar race is heating up.